Leveraging on the support of our sound infrastructure, we are able to come forth with the sustainable gamut of Alloy Steel Pipes. Our products are extensively demanded and appreciated due to their high durability and optimum performance as we have hired deft team of professionals to examine these products before delivering to the client. 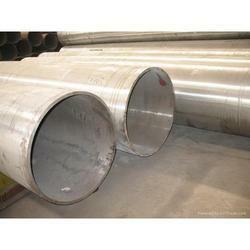 Our respected patrons can avail these high quality pipes at competitive rates. With firm commitment to quality, we are engaged in importing, exporting and supplying Seamless Alloy Steel Pipes. Our vendors are the most authentic and reliable in the industry as they provide the high-quality product. We employ machines and equipment as per latest technology trend to deliver premium quality product to our clients. Moreover, these products are properly tested on several parameters to ensure high-quality product output. In order to cater ever changing demands, we are offering optimum quality Alloy Steel Pipes to our patrons. These quality-approved products have the ability to withstand even severe climatic conditions. The products we offer are reliable in terms of durability and performance. These products are fabricated in a well-segregated premises of our vendor to avoid errors in the finished product. 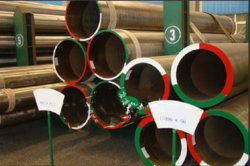 Looking for Alloy Steel Pipes ?